Description: The front desk volunteer supports the Habitat staff in the office by answering the phone, greeting patrons and assisting with light secretarial duties. Requirements: Front desk volunteers must be comfortable working in an office environment, answering and transferring phone calls, greeting walk-ins, making copies, and assisting with mass mailings. The Volunteer Workforce Manager will interview and train potential front desk volunteers before volunteering at the front desk may occur. Youth: Youth aged 16 and 17 may volunteer, but must have a Liability Waiver signed and notarized by their parent/guardian before volunteering. 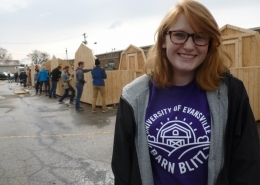 Description: Greet construction volunteers at the beginning of the build day, help them sign in and collect Liability Waivers. Make coffee, pass out water and snacks to volunteers during breaks. Remind volunteers to sign out as they leave the construction site. Youth: No one under the age of 16 is allowed on the construction site. 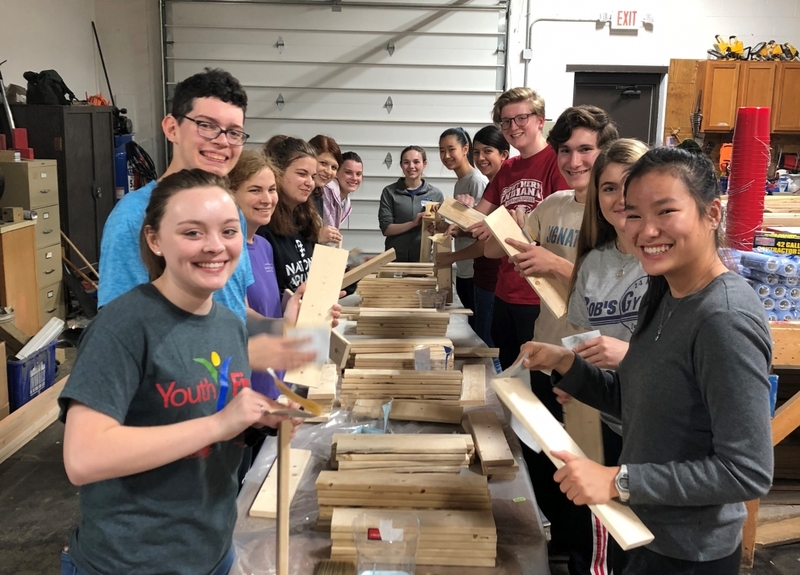 Youth aged 16 and 17 may volunteer, but must have a Liability Waiver signed and notarized by their parent/guardian before volunteering. Online Safety Training: All volunteers must complete an online safety training course before volunteering. 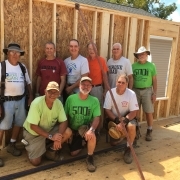 Safety training link: http://www.hfhvolunteerinsurance.com/use code: Use code W8NAEBTG and select the “Volunteering on a Habitat site” training option. Hours: Tuesday, Wednesday, and Saturdays 7:00 a.m. – 2:00 p.m. Knowledge: No specific knowledge is required. Dress Code: Closed toe shoes (work boots or tennis shoes) and long pants (jeans are preferred) are required. Please do not wear jewelry or loose and baggy clothing. Please wear clothes that you don’t mind getting dirty, ripped, torn or painted. Description: Purchase or prepare a simple, yet filling, lunch for construction volunteers. Requirements: Be willing to feed 10 to 40 volunteers. Drinks are not required to be provided for lunch, but are appreciated (water is provided throughout the day by Habitat). Hours: Tuesdays, Wednesdays, and Saturdays 10:30 a.m. – 12:30 p.m. Description: Purchase or prepare snacks for construction volunteers. Cookies, chips, granola bars or other individually wrapped snacks are appreciated. Requirements: Be willing to provide enough snack items for 10 to 40 volunteers. Drinks are not required to be provided, but are appreciated (water is provided throughout the day by Habitat). Hours: Tuesdays, Wednesdays, and Saturdays 8:30 a.m. – 9:30 a.m. Description: Provide bottled water for volunteers and deliver it to the construction site on a specific build day. Hours: Tuesdays, Wednesdays, and Saturdays 7:00 a.m. – 8:00 a.m. Description: Future homeowners accepted into our homeownership program are required to take classes to prepare them to be a successful homeowners. Classes that need instructors include the following topics: Home Safety, Energy Conservation, Nutrition, Stress Management, Landscaping and Communication Skills. (This list is not all-inclusive). Requirements: Instructors must have a vast knowledge in the area that they wish to teach and must have teaching/training experience. Hours: Various Week Days 5:30 p.m. – 7:30 p.m. and Saturdays 8:30 a.m. – 10:30 a.m. Knowledge: Deep knowledge in the area that you wish to instruct. 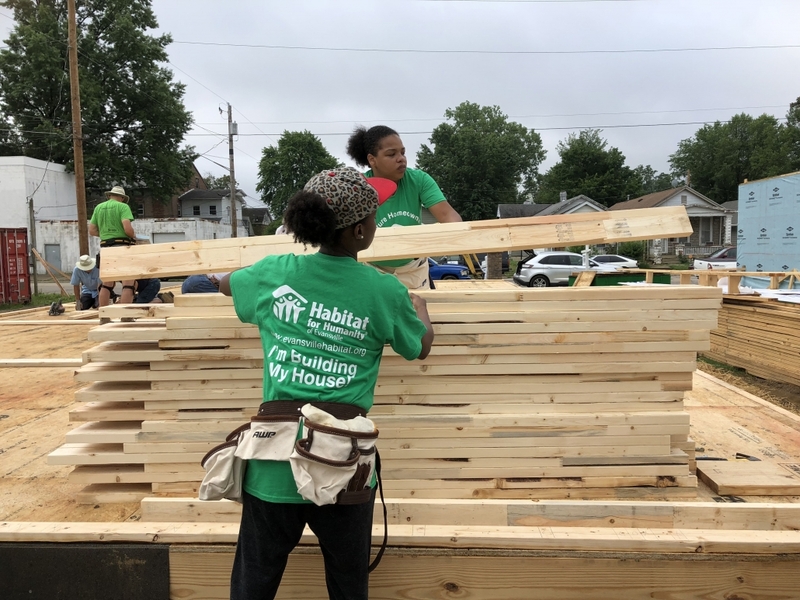 Habitat for Humanity of Evansville relies heavily on volunteer committees to help with construction activities, events, family selection and so much more. 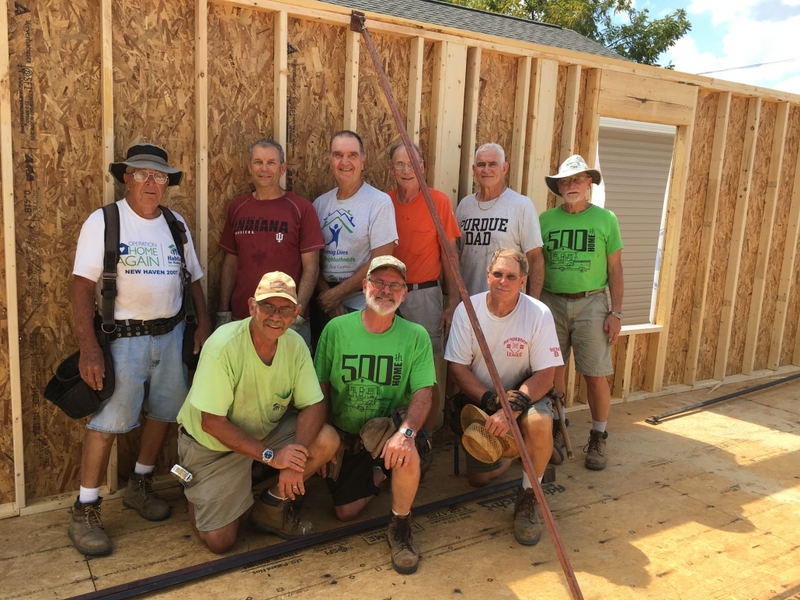 Committees provide an opportunity for volunteers to become involved at a deeper level with the ministry of Habitat. 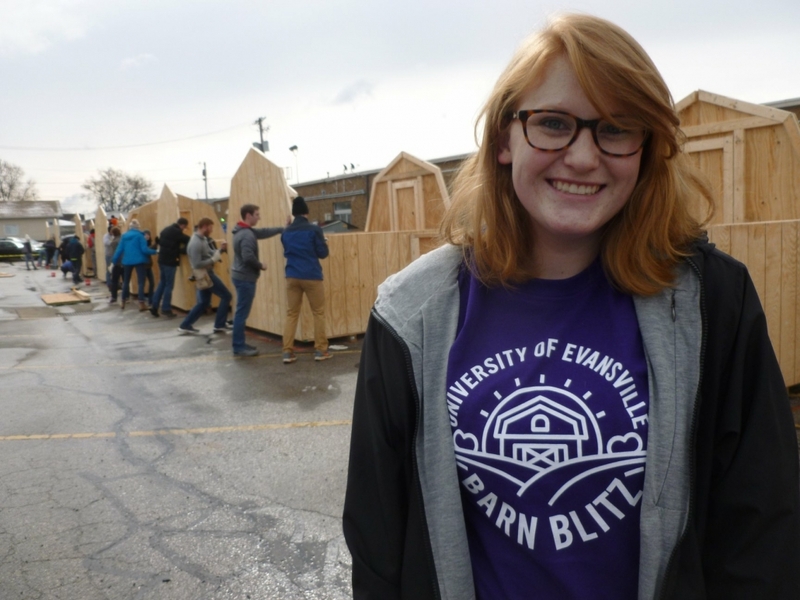 If you are interested in volunteering on the committee level, please contact the Habitat for Humanity of Evansville office at (812) 423-5623. Communications: The Communications Committee supports Habitat’s development staff with communications and marketing projects. 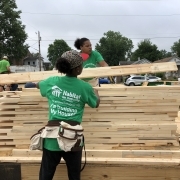 The group seeks to expand and improve the reach of Habitat’s current marketing strategies within the community. 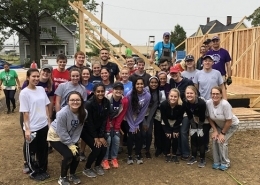 Construction: The Construction Committee is responsible for overseeing construction activities of Habitat for Humanity of Evansville. Delinquency Prevention: The Delinquency Prevention Committee works with Habitat homeowners that are behind in mortgage payments so they can get back on track. 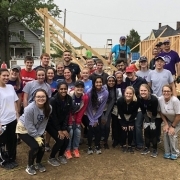 Development: The Development Committee works to secure the financial resources to advance the mission and ministry of Habitat for Humanity of Evansville. 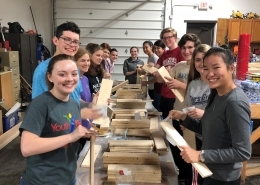 Faith Relations: Members of the Faith Relations Committee serve as advocates for the Habitat ministry by sponsoring the annual Faith in Action Breakfast and increasing understanding, acceptance and support for Habitat in the faith community. Family Selection: The Family Selection Committee recruits and selects the families that are presented to the Board of Directors for approval to become part of the Habitat for Humanity of Evansville homeownership program. Finance/ Audit: The Finance Committee works to assure that appropriate accounting policies and procedures are being used by the organization in accordance with GAAP (Generally Accepted Accounting Principles). Governance: The Governance Committee is responsible for ongoing review and recommendations to enhance the quality and future viability of the Board of Directors. The group deals with board roles and responsibilites, composition, orientation and ongoing education, recruitment and preparation of future leadership, and assessment of overall effectiveness. Homeowner Support: The Homeowner Support Committee provides resources, guidance and support to Habitat homeowners. 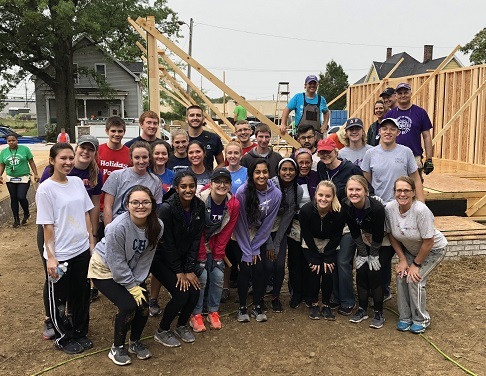 The group builds relationships with each future homeowner throughout the sweat equity process and first year of homeownership and offers programs and training for homeowners. 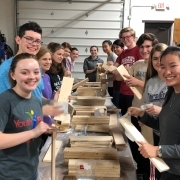 Interfaith Advisory Council (IAC): IAC works to fulfill one of the highest aims of Habitat for Humanity International, which is to challenge world religious leaders to work together to end poverty on the planet, using decent shelter as a transformative and foundational strategy to accomplish that vision. IAC is committeed to action by building and advocating for decent, affordable housing in our community. Planned Giving Advisory Committee: The Planned Giving Advisory Committee encourages donors to become members of the Perigo-Prickett Society, Habitat’s planned giving and endowment society, by providing educational and technical advice and other professional assistance to the development staff and the Board of Directors. ReStore Advisory Committee: The ReStore Advisory Committee provides advice and guidance on best practices to improve operations and performance of the ReStore. The committee is also charged with focusing the ReStore to serve optimally as a profit-making vehicle for the affiliate’s mission and to monitor the results of the ReStore efforts. Women Build/ HabiTea Committee: Members of the Women Build Committee come together each year to plan their annual HabiTea fundraiser and participate in National Women Build Week in May. This group of ladies recruits, educates and inspires women to build and advocate for simple, decent and affordable houses in our community. Click here to learn more. 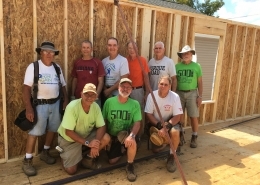 External Community Groups: There are a variety of other community groups working in partnership with Habitat for Humanity of Evansville to fundraise, volunteer and advocate for affordable housing including: Catholics for Habitat, Lutherans for Habitat, Millennial Build (Hard Hats and High Heels), UCC/DOC Build, and United Methodist Build. 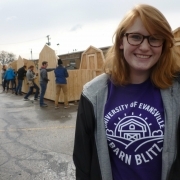 Description: Budget Partners must demonstrate willingness and ability to answer basic financial questions for future Habitat Homeowners and help position them to succeed in the Habitat program. They support future Habitat Homeowners in their budgeting and homework exercises and know what questions to ask during each monthly meeting. Requirements: Provide monthly email reports to the Family Services Director about general topics discussed during monthly Budget Partner meetings, including length of meeting, whether family was prepared for meeting, whether family seems to be grasping concepts, whether family continues to track expenses and is developing ability to manage/modify budget as needed. Hours: Budget Partners meet with their paired future homeowner once a month. These meetings should occur between the money management class sessions. Knowledge: A financial background is preferred but not always required. Description: The Homeowner Advocate provides guidance, support, empowerment and encouragement to the Future Habitat Homeowners. The Advocate serves as the liaison between the administrative office and construction team for the family. Prospective homeowners truly become partners with the affiliate as a strong relationship is built. This relationship is the key to the success of each prospective homeowner as he or she moves through the program – and also to his or her success as a homeowner. Building good relationships is also the key to the success of the affiliate over time, evidenced in a low delinquency rate, low foreclosure rate, and Habitat homes that are well-maintained over the years. 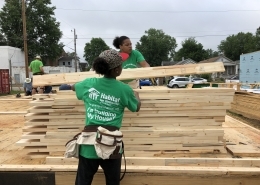 A one-on-one relationship is the oldest and most effective support strategy at Habitat. Skill in knowing when love and support requires a helping hand and when it requires encouragement in independence. Advocate needs to stay informed of construction processes, sweat equity policies and procedures and delinquency procedure. If you like, you can be added to the list of future homeowners who receive weekly emails about sweat equity opportunities. Ability to motivate and keep partner family focused to continuously strive towards goal of sweat equity completion and home ownership. Advocates must be a homeowner. This gives them the ability to relate to the struggles and heartaches of homeownership and provide assistance and advice on the matter. Hours: The total time commitment is approximately two years, one year from the time that a family is accepted into the program until one year after they move into their new home. This commitment may be longer, or shorter, on a case by case basis. During the sweat equity phase, the minimum number of contacts should be twice per month with at least one of them being in person. Once homeownership occurs, contact can drop to a few times in that year with the method varying as appropriate to the need. Knowledge: No specific knowledge is required, but advocates must be a homeowner themselves.